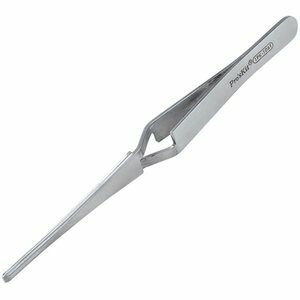 Mounting tweezer is an essential tool to use while working in tight spaces that require high precision and accuracy. Magnetic. Material: AISI410. OAL: 200 mm. 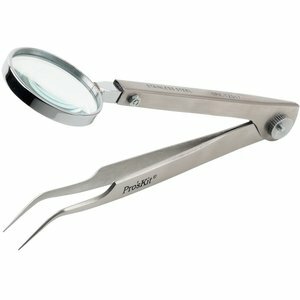 Magnetic tool for convenient gripping and holding of small components. For positioning 5 mm monolithic chip capacitors at 60° angle. 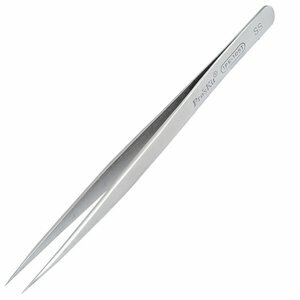 Grooved tips, 4-3/4" long (120 mm). Non-magnetic. 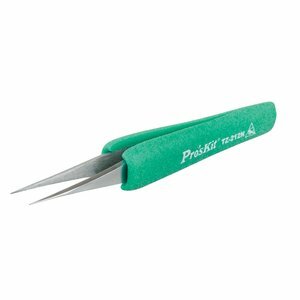 Insulated Tweezers Pro'sKit 1PK-101T. OAL: 120 mm. Non-magnetic. Material AISI304. OAL: 120 mm. Suited for confined space. Magnetic. 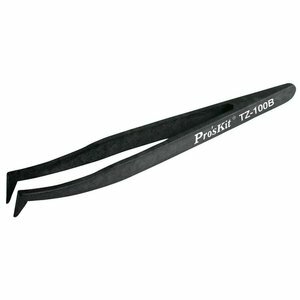 Material AISI410. OAL: 165 mm. Non-magnetic. 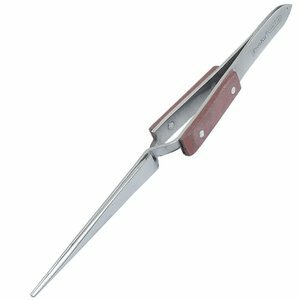 Material: AISI304. OAL: 120 mm. 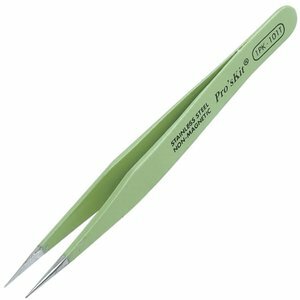 Designed for positioning and holding the cylindrical SMD components during the soldering and desoldering process. OAL: 115 mm. 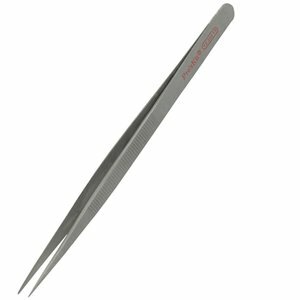 SMD tweezers: OAL 120 mm, 45° angle. 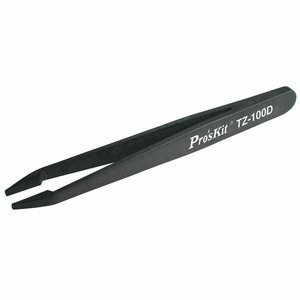 Material: AISI304. 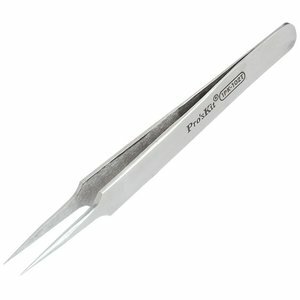 Extreme performance light weight designed. Reduced effort. 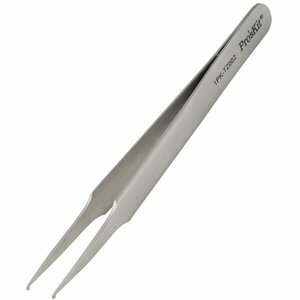 Longer working without fatigue, 2 models are available. 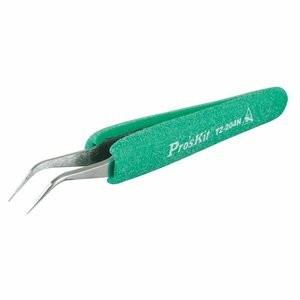 Material Titanium. 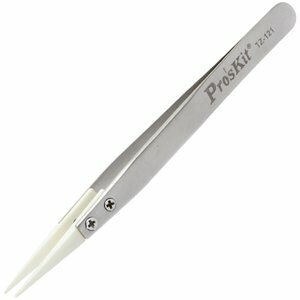 Reverse action tweezer from Pro'sKit which provides strong grip of spare parts and electronic components. Magnetic. 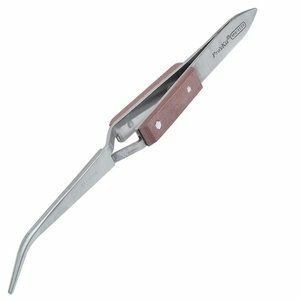 With fiber handle. Material AISI410. OAL: 160 mm. 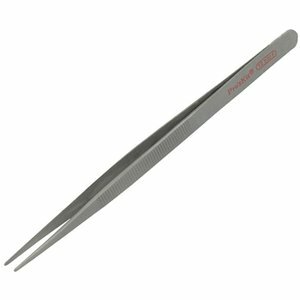 Bent antistatic tweezers with a precise tip (120.5 mm). 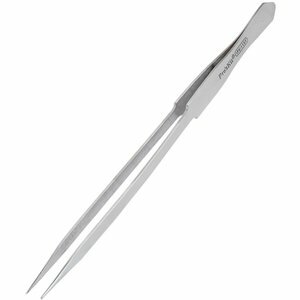 0.5 mm tip with ergonomic handle design makes this tweezers ideal for access in confined areas. 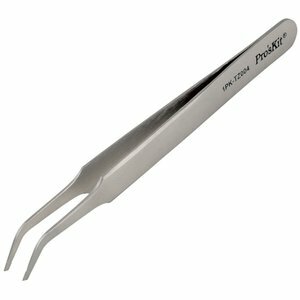 Also you get all of the advantages of a ceramic tool. 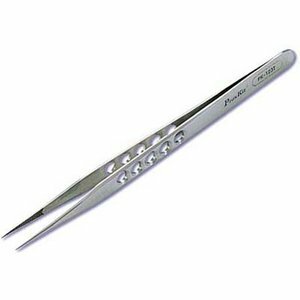 For handling /positioning 3 lead SOT packages, monolithic chip capacitors, etc., 4-3/4". OAL: 120 mm. 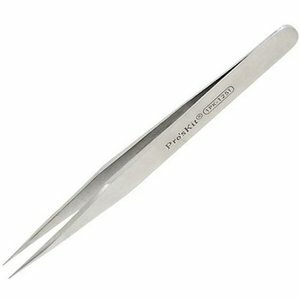 Straight antistatic tweezers with a precise tip (129 mm). Material: AISI304. Lens material: Glass. OAL: 120 mm. 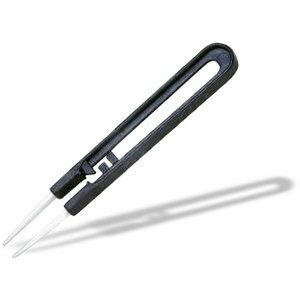 All the best advantages of a ceramic tool: resistance to chemicals, excellent electrical insulation, high wear and heat resistance. 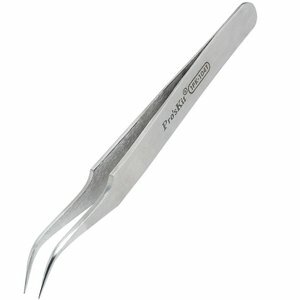 Tweezers designed to reduce effort , for longer working wtihout fatigue. 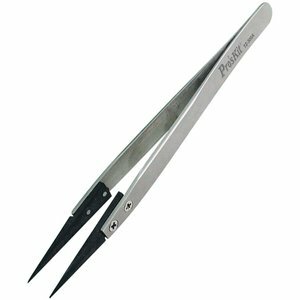 Antimagnetic tweezers with static dissipative soft tip. 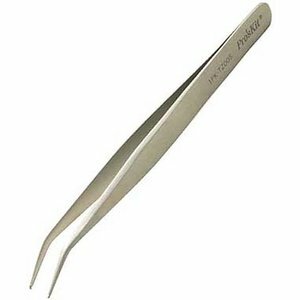 Tweezers with precise flat tips (115 mm). 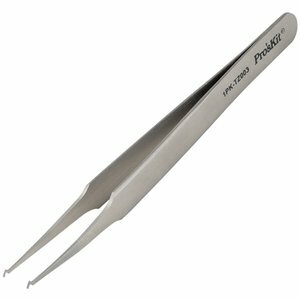 Curved tweezers with precise tips (120 mm).